A winning tournament every time! The staff at Gallagher's Canyon will take care of every detail to ensure that your tournament is a great success. 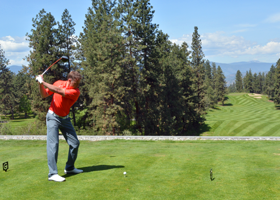 Our facilities are more than accommodating for groups that range from 24 to 150 golfers. At the end of the day on the links, our clubhouse provides the perfect setting for a post-tourney meal or fully catered banquet.